I'm sorry to report that there is a tornado threat again today. There is already a tornado warning in effect. 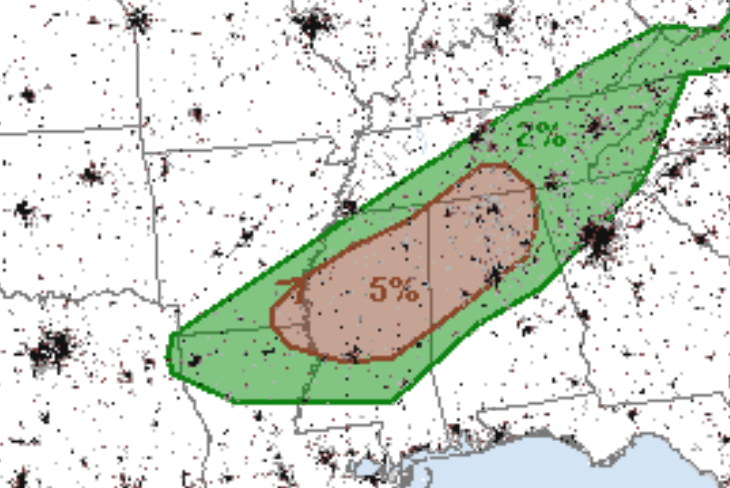 If you live in the brown-tinted area, please keep an eye on the weather today!